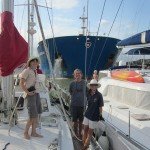 Thanks to S/Y Silver Lynx we were able to transit through the Panama Canal as line-handlers. We joined the yacht in Shelter Bay at 1pm on Sunday and motored to the ‘flats’ where we anchored to await the arrival of our adviser (Victor). 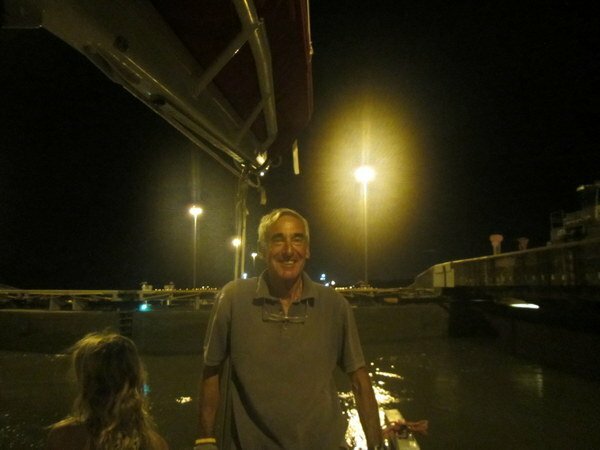 Once he’d arrived we set off, entering the lock system around 8pm rafted alongside Yallato. Then it was the serious line-handling part as we handled the lines for the starboard side of the raft. 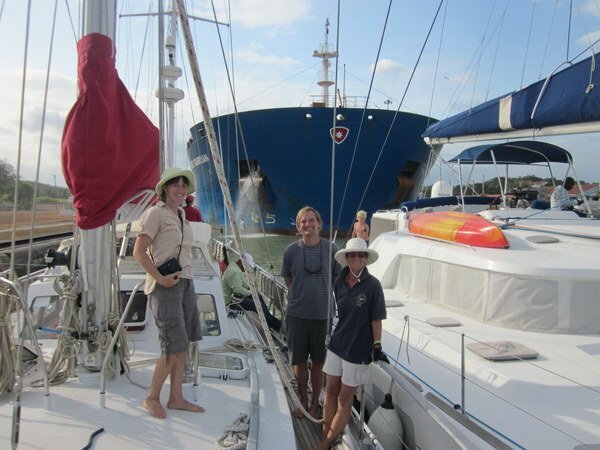 We climbed the three steps of the Gatun Lock tucked in behind the massive tanker M/V Kamari and by midnight we were moored in Gatun Lake and Victor left. 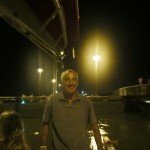 Shortly before 9am our new adviser arrived and we set off to motor the 30 miles to Pedro Miguel lock where we rafted with Yallato again in front of M/V Nord Guardian, then it was on to the final lock, Miraflores, with two steps before we entered the Pacific Ocean. What a fabulous trip and amazing experience. Many thanks Silver Lynx for having us on board.